Your garage is an extension of your home. The function of the garage is to provide shelter and storage, but it also contributes to the curb appeal and beauty of your neighborhood. Like a trusty car, a garage door requires regular maintenance to keep in top shape. Make sure to have your garage door serviced at least once a year to ensure smooth operation. 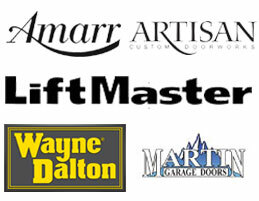 Jaydor has been providing trusted and professional garage door service for over 45 years. Family owned and operated since 1965, our garage door technicians are capable of handling all your garage door issues from minor repairs to major installations. Choose one of our preventative maintenance packages. Customer service and satisfaction is Jaydor’s top priority. All of our garage door services are guaranteed with a written warranty. Call 610-539-4070 or send us an email for your free estimate. One of our garage door experts will be happy to help you! Have a garage door emergency? Our 24-hour emergency service is available 7 days a week, day or night. Call 610-227-5310.